Silva is one of the two best known compass brands available on the Australian market for outdoor use. They sell a large range of compasses into Australia and the Silva Expedition 54 Compass would probably rank as their main selling ‘top of the line’ model. There are also military versions available but unless you know what to do with the additional features then don’t worry about them. This compass is robust, reliable and reasonably bullet proof and provides a high level of accuracy through the inclusion of a built in sighting prism. This sighting prism allows you to look over the compass and into the prism at the the same time which is a much more accurate way to use a compass than looking down onto the compass and trying to line up a bearing. Over short distant taking bearings from the top of the compass wont have to much of an effect but over longer distances this can compound and have big impact. In addition the sighting prism has an internal scale that Silva claims can be read to 0.5°. While you can quite clearly between the degree marks in this prism I’m more inclined to take 1° bearings than try to quibble over anything smaller. While for most hikers this compass is overkill and something like the Suunto A-30 or the Silva Ranger compass is more than adequate,the Silva Expedition 54 Compass is aimed at the navigation enthusiast that wants a high level of accuracy over longer distances. So if you are the sort of hiker that goes off trail and needs a high level of navigation accuracy then this is the compass for you. NOTE: Don’t buy from overseas stores unless your are very sure that what you are buying is the correct version otherwise you are buying a very lightweight paperweight. 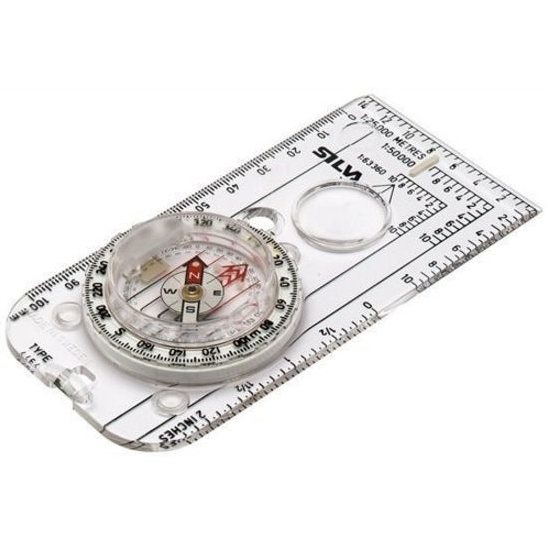 An excellent high quality compass for those hikers that want accuracy over long distances.